"Makhana" is the Hindi term for Louts seeds. The puffed lotus seeds are called Phool Makhana. These are used in India to make kheer, curries, and even pulao. 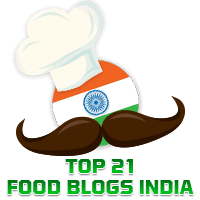 Elsewhere in this blog, you will find the recipe for Phool Makhani Kheer. This article is The Indian Express explains why it is useful to add makhana to your daily diet as they are a good source of protein, carbohydrates etc while being low on sodium. Today's recipe is adapted from "Peas Lotus Seeds Kebabs" by Radhika Chhabra in Better Butter. This was pointed out to me by my friend, Prathiba Rao in a cooking group in which we are members.. I liked this recipe as it called for shallow frying the kababs which I prefer to deep frying. We tried this out as an evening snack a few days ago and we thoroughly enjoyed the taste. These days almost any ingredient can be bought at departmental stores. I bought the Phool Makhana (picture below) from Big Bazaar. In a mixer, grind the roasted lotus seeds and cashewnuts to a coarse powder. Keep aside. Heat a tawa and lightly grease it with oil, place 4 of the kababs, drizzle oil around the kababs and shallow fry till they become slightly golden brown. Serve the kababs hot with a chutney of your choice or tomato ketchup.